You are here: Home / Giveaways / Gussy Sews Giveaway—Woot Woot! So far we have raised enough money for 4 1/2 smiles with our Swap A Smile Auction Fundraiser! We are almost to our goal of 5 bright and shiny new smiles for some very deserving children. It costs $240 for one new smile so… that’s really pennies for what it can do for a child’s life. We have heard from many of you who either have children who have been born with this condition or who WERE born with a clft lip and or a cleft palate and truly you have touched out hearts. Please, please, please visit our auction and take your last opportunity to bid on some amazing projects that were hand made by some of your favorite creative bloggers. Thank you so much for all your generosity! We truly appreciate you! Guess what? We have an awesome giveaway today from Gussy of Gussy Sews. Have you seen her amazing bags, clutches…and other amazing items that she makes and sells? I have loved her stuff for a long time and she has always been someone I have been wanting to meet in real life. And I was able to finally meet her back in September at The Creative Connection. She is so cute and fun in real life too. That is her on the right side on the end below. I realized we never actually got our picture taken together…what is up with that? Gah! Anyways…Gussy is offering a fun giveaway to all Idea Room readers. I was also able to review this ca-ute laptop bag. I recently took it with me to Idaho when I went to visit the Scentsy Headquarters…more on that to come. The bag is so well made and durable…but really fun and unique. And it sits on your shoulder and is actually pretty comfortable to wear and carry around. And I LOVE the fabric. And…did you notice that it matches my camera strap? This was not planned and I have had this camera strap for about a year now. Gussy is generously giving TWO Idea Room readers a $75 gift certificate to spend in her shop. If you would like to be entered for a chance to win one of these gift certificates you will need to head on over to Gussy Sews and have a look around at all her fun accessories. Then come back here and leave a comment letting us know what your favorite item from her shop is. Be sure to leave a comment for each additional entry. This giveaway will close on Tuesday, October 18 at 9:00 pm PT. *This is a sponsored conversation written by me on behalf of Gussy Sews. I was given a Laptop Bag to review. Contest runs October 14-18, 2011.
to claim their prize before a new winner is chosen. Such cute stuff!! I love the charcoal dot tote bag, it’s so cute and I’d love to win and carry that adorable bag on my shoulder. I have had my eye on her ruffled headbands for quite some time! I love the vintage floral wristlet clutch! Also follow Gussy on fb! I love the Lola Vacay Pouch + Tote. The fabric is gorgeous. I would love a market tote! I follow Gussy on Twitter…..
Love the zipped pouches, tote bags, and her headbands ~ polka dots….. Such cute things! I adore the ruffled camera straps. So bright and whimsical, especially the polka dot, pink ruffle one! We (me and my 2 cute daughters sitting next to me) like the headbands…especially the white with the black polka dots and I love the baby blankets…so sweet! I love the ruffled headbands. Oh my there are so many beautiful things! Love the Tangerine Dot tote bag, also the camera straps are so cute! Thank you for the chance to win! Ok I need a camera strap cover so bad! I think i’d go with the lime! I love the tangerine dot tote bag and the headbands would look precious on my little niece! So many beautiful things! Love the wristlet clutches – the floral one catches my eye. I followed Gussy on Pinterest as well. Love the eye candy she has posted there :) thanks for the awesome giveaway! I love the garden fresh tote bag. Any of her stuff would be great to have. Thanks for the giveaway! I love the Garden Fresh tote bag. I follow Gussy on Pinterest. Love the Charcoal Dot Headband! I love the tangerine tote!! I love Gussy Sews! Her tote bags are fabulous and my favorite! I love the Tangerine Dot Tote Bag/Diaper Bag. I just started following her on Pinterest. I LOVE the charcoal dot pattern. She has a ton of great patterns but that one is ah-mazing. I love the fun camera strap! I love her charcoal polka dotted tote bag. I would look great holding it with all my school books. Please pick me! There goes my morning, I’m following Gussy Sews on Pintrest. Off to spend the morning pinning away. lol. Thanks for the chance. How do you even choose!!! I would say my favorite would be either the clutch or the tote bag! I absolutely love all of the items she has made, but if I have to chose one….. I would chose the cotton candy tote bag. I also followed her on twitter (@jessicadehring). I follow her on Pinterest. I ♥ Gussy Sews! My fave is the pink floral wristlet! I follow Gussy on Pinterest! Love the iPad cases and camera strap covers! LOVE the Tangerine Dot Market Tote – so bright & cheery!! Thanks for the chance! I love her Tangerine Dot Tote bag! Posted on FB about the giveaway!! I love her totes (diaper bag especially). And I would love to try one of her headbands. I follow Gussy on Twitter. I love the garden fresh tote! Super cute!! I like the Tangerine Dot market tote! I follow Gussy in Pinterst too! I shared on fb about the giveaway and the super cute stuff! I follow Gussy on Pinterest now! I love her sewing! Too cute! I love the cotton candy market tote. Love everything! I love the tote bags! I followed Gussy on Pinterest. Her market totes are definitely my favorite! I love love LOVE the charcoal dot tote/diaper bag–I’d use it for my laptop….so lovely! seconded by the gray whisper tote..hmmm loveliness! Love the vacay tote and pouch. I love the laptop tote! So cute! And i can’t wait to hear about your visit to Scentsy headquarters! I’m a rep and I love everything about Scentsy. My favorite item in the Gussy Sews shop are the trio of nesting pouches! I would buy these for sure if I won!! I love, love, love the tangerine dot market tote…so super cute…might also have to spring for a camera strap!!! I follow the Idea Room via GFC!!! I LOVE the Sky Blue Polka Dot nesting pouch trio! Those colors together definitely go with my Miami style. i love the nook/kindle case, mine is so boring! i follow the idea room via google reader. Of courseeee I follow the RSS! LOVE IT! She has two fabrics I love, cotton candy and the tangerine dot. So anything made from either of those would be awesome! Love love love polka dots! I am obsessed with the charcoal dot tote bag! Now following Gussy Sews of Pinterest! Also, my friends and I are having a pinterest party tonight! Everyonw has to bring a craft and a snack they found on pinterest SO excited! I love, love, love…the ROUND DAMASK IPAD CASE!!! How stinkin’ cute. I am Following Gussy Sews on Pinterest. I am following Gussy Sews on Twitter. I’ve been following Gussy’s stuff for a long time. LOVE her fabric combos. My favorites are her headbands and nesting pouches. I LOVE the ruffled headbands and the charcoal dot tote bag! What fun stuff! I like the charcoal polka dot tote, it would make a great Sunday bag/diaper bag. I follow Gussy Sews on Pinterest. I LOVE all the tote bags! So cute! I follow the Idea Room blog. I love the zipper pouches. I am in love with the charcoal dot tote bag. Yellow and gray is my current favorite color combo! I like the Tangerine Dot make-up bag. I Follow The Idea Room via Google Friend Connect as nightowl. I would LOVE a tangerine dot kindle case! I love her camera straps, especially the red and robin eggs blue one! Definately the tangerine dot tote bag! How fun! I follow fussy sews on pinterest! I love her camera strap covers! Ps. I meant gussy! I follow gussy sews on fb! I get the Idea Room RSS Feeds! I love the Charcoal dot tote bag… or maybe the candy candy tote bag! So hard to choose!! I am in love with the nesting pouch trios…especially in the green twist. Green is my favorite color!! I love her camera straps!! I love the CHARCOAL DOT TOTE BAG! I would definitely pick the tangerine dot camera strap slipcover to fancy-fi my camera and I’d love to get the round damask make-up bag to throw in my purse! I LOVE her “B&W Houndstooth Camera Strap Slipcover, lime ruffle”! Sooo lovely! My favorite items in her shop are the Tote Bags! They are so adorable. I also really like the ipad covers. She uses such cute fabric and color designs! I hope, hope, hope I win!! I follow Gussy Sews on PINTEREST! I follow the IDEA ROOM too!! Thank you! Great stuff! I like the charcoal dot market tote and the Lola vacay tote! I am following Gussy Sews on Pinterest! I love all the camera straps and the tote bags are pretty awesome!!! Such cute stuff from Gussy Sews! I love the charcoal and blue market tote! The nesting pouches are adorable too! Thanks for a fun giveaway! Also that charcoal polkadot diaper bag is the cutest thing ever. I’m expecting my fourth child in June and after three kids the diaper bag situation is pretty bad. Oh my…I need to gray and yellow polls dot bag. I love gray and yellow together and who doesn’t love polls dots. I like the sky blue polka-dot nesting pouch. It would make a great gift for my sister in-law who is expecting. I LOVE the Daniella Vacay Tote!!! I follow the Idea Room! I’ve been wanting the B&W houndstooth camera strap for awhile now. Thanks for the giveaway. Follow Gussy Sews on Pinterest. I would totally get a market tote! Also I am susbscribed to Idea Room via RSS. I like the sky blue polka dot nesting pouch trio- and everything else she makes!! LOVE Gussy Sews! My fav item of hers is her tote bags! Love them! I now follow Gussy Sews on Pinterest! yay! Thanks for the giveaway! I now follow The Idea Room on Google Friend Connect! : ) Thanks for the giveaway! I like the candy stripe headband. Love her stuff! I love Gussy’s cosmetic bags! i absolutely love the charcoal dot market tote- choose your ruffle color! I’m a new Idea Room GFC follower too! I am excited to be followiing Gussy on Pinterest!! Oh my goodness, I love her market totes!!!! I’m following the Idea Room!! I love the Sweet Alabama zipped pouch. Hey! This is an awesome giveaway. I love finding Gussy Giveaways and learning about all of the fun sites that host them. I love the camera straps, or one of the headbands! I follow Gussy on Facebook! I LOVE all of Gussy’s stuff, but I’ve had my eye on the tangerine dot camera strap for awhile!! I’m The Idea Room’s newest follower!! I love Gussy! She is one of my faves! I love all of her bags but right now I have her headbands on my want list. They are so cute!!! I adore all of Gussy Sews things! But, I really like the camera straps! I also shared a link on facebook to this post! I think my favorite is the CHARCOAL DOT MARKET TOTE. Adorable! OMGussy Goodness!!! SERIOUSLY…what does this ruffle lovin’ lady NOT make that I do not LOVE?!?! NOTHING!!! I absolutely *heart* everything in her shop, but plan to get my hands on one of her FANTABULOUS camera straps SOON!!! I am spreading the love on FB!!! It’s pretty much impossible for me to pick just ONE favorite item of Gussy’s! But a few of my faves are the nesting trio & the charcoal dot tote bag…adorable! I follow Gussy Sews on twitter! I shared about the giveaway on my FB wall! I am following The Idea Room in reader…SO EXCITED!!! Everything is so cute. It is hard to decide but I love the make up bag and any of the nesting pouches. I love her stuff…so cute! I love the totes and the camera straps. Thanks for the giveaway! I’m a follower of The Idea Room…love your blog! I’m a follower of Gussy on Facebook! Wow! I love the tote bags!!! I love the tangerine dot camera strap slipcover. I have wanted one for my Nikon forever!!! I am following you through GFC. my favorite is the tangerine dot tote or the gray dot tote. I love the charcoal dot tote! i love the tangerine market tote! Oh I LOVE LOVE LOVE the charcoal dot!!!! Gussy Sews is just wonderful! I would love a medley tote – garden fresh, please! I love all the market totes! I follow via gfc too. I shared this giveaway on my fb page too. I would love the Cotton Candy tote bag // diaper bag! I also like Gussy on fb. I love the camera straps and tote bags, actually everything is super adorable!! I am following her on facebook and pinterest. Thanks for the chance to win. I LOVE Gussy and your tote is adorable!! One of my favorites! I want a camera strap so much!! I really like the tangerine tote! Liked this on facebook! Awesome giveaway! Love the tangerine dot market tote!! STILL need a camera strap so that would be my pick!!! Thank you! i love the tote bags! i follow @gussysews on twitter! I am now a FB follower!!! I now Follow GUSSY on Pinterest!! Loved the diaper bags – what cute fabrics!!! I adore the Charcoal Dot tote bag // diaper bag (which is what you have in the pic, right?) I’ve had my eye on it for.ev.er! I want it bad!! i’m following gussy on pinterest! I love the kindle cases! I don’t have a kindle, but my sister does, so that would make such a great Christmas gift for her! i follow “the idea room” via RSS! I love the ‘Gray Whisper’ tote bag. So cute! How do your choose a favorite among all that fabulous stuff!!!! I like the totes & the nesting pouch trios & the wristlets. Oh I could go on & on! I love the tangerine dot tote/diaper bag. So cute! Thanks for the giveaway. I have been in the market for a camera strap cover. I’d love any of hers, but especially the tangerine dot one. I follow Gussy on FB. I follow Gussy on Pinterest and FB! I love the nesting zippered pouches! I love the nesting pouches – so brilliant, and CUTE! I’m following Gussy on twitter! I follow the Idea Room on google! Love Gussy. I can’t decide which item is my favorite. The material she uses is so much fun. Love the headbands…so cute. I love the charcoal dot and gray stripe headband! thank you! Oh, Gussy! :) I have been wishing and wishing for ANY of her tangerine dot products to come home with me! Thanks for the giveaway opportunity! I love the Charcoal dot tote! I am obsessed with that gray and yellow color combination! I follow the Idea Room on RSS! I would absolutely love the Black and Grey dot camera strap cover!! I’m following Gussy Sews on pinterest, too!! The houndstooth & teal ruffle camera strap cover is super cute! The market totes are pretty sweet too. I just started following you on GFC :) Thank you so much for writing it out as Google Friend Connect in the rules for entry… I’ve been wondering what GFC was for a while now & feeling sort of dumb for not being able to figure it out! I would love one of the laptop bags! They are so cute and sylish! I shared this givaway on facebook. I love all her bags with the cute ruffle but the cotton candy market bag was so pretty and feminine. I love the charcoal dot tote, I think I want it with the pink ruffle! I love her market totes! I actually LOVE the tote you have, the gray dot market tote. I’d also adore a camera strap! SO cute and I’ve been wanting to spice up my camera (and embarrass my hubs when he borrows it)! Still in love with the Tangerine Dot Tote Bag! I love the Grey Whisper market tote! I follow Gussy on twitter!! I follow Gussy on Pinterest!! I am loving the Eclectic Whatnot by Gussy Sews camera strap slipcovers. My favorite is the B&W houndstooth with turquoise ruffle!! Or, maybe with the lime ruffle. It’s so difficult to chose one favorite item. I adore GussySews! My favorite are the tangerine polkadot nesting pouches. They are a must! I also follow GussySews on twitter! And, I now follow her on Pinterest! Have just discovered your site and love it! 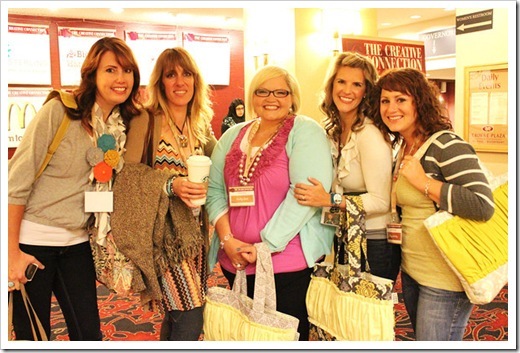 Would love the tangerine market tote! I love the cotton candy tote bag. I follow the Idea Room on RSS. I love the Daniella vacay tote! Although, I think it would be hard to choose what I would buy if I won because there are so many ruffly choices! Thanks a lot! I like Gussy on Facebook! Thanks again! I love her market totes! There are so many pretty fabrics-I love all of them! I follow The Idea Room on Google Friend Connect! I love the look of her site! Very fun! I love the Cotton Candy Market Tote. Super cute! I follow Gussy Sews on pinterest. Way cute stuff! Love the baby blankets, but my favorite item has to be the Tngerine Dot tote bag! I love the Ruffled pouches! I could find so many uses for them! I want, want, want one of those camera straps! I follow on twitter (tigermilky)! Love the cotton candy tote bag! I follow on Pinterest too! Gussy Sews is tha cutest!! I love her blog. It is so encouraging and joyful. My fav item at the moment is her Garden Fresh Market Tote. Thanks, ladies! I like the market tote! I am a sucker for totes – and I NEED a camera strap, so win or loose, I might have to look into one of those super cute strap slipcovers! I like the market totes! My favorite is the Charcoal Dot Market Tote!!! I now follow Gussy on Pinterest. I have been a follower of The Idea Room for a while now! I love the camera strap covers! Actually I love everything in her shop!! I am following Gussy Sews on Pinterst!! I have been following The Idea Room for over a year!! I follow Gussy on FB as well! I LOVE the charcoal dot tote with the mustard ruffle. My fave color combo right now is yellow/gray! I love the nesting pouches!!! I follow the Idea room on GFC. My fav is her Cotton Candy Market Tote. I love the zippered pouches. I am in love with the Charcoal Dot Tote Bag!! Love!! I like the CHARCOAL DOT MARKET TOTE ~ CHOOSE YOUR RUFFLE! I follow the idea room through gfc! I tweeted about the giveaway! P.S. Earlier, I said I like Gussy on FB (which I do), but I meant to write Pinterest (which I also do)! I follow The Idea Room via GFC! Ooh! The camera strap covers are amazing and I really really need one! Wow. Jus thad another look at her shop. I love everything! :) I really like her ruffled camera straps- so cute! Oh my, I followed you over here from Pinterest for your toffee recipe and fell in love with Gussy Sews, I love her market bags! I would love love love a diaper bag! love the charcoal dot market tote! I love the charcoal dot headband! I love the colors and vintage look…I think one of those cut laptop carriers would make a great birthday present. The bags are fantastic (I love the color combos! ), but I think the B&W Houndstooth Camera Strap Slipcover, orange ruffle is my favorite–its so unique! I love the cotton candy tote bag! That fabric is gorgeous. I follow the idea room through GFC. I love the camera straps!!! Too cute!!! Following Gussy Sews on FB! I would looove the market tote! Those camera straps are just super cute! I love gussy sews bags! I love the new laptop bag! I’m an Idea Room subscriber via RSS. I need a Tangerine Dot nook/kindle case for my new kindle! I love the round paisley Ipad case. I love the tangerine dot nesting pouches!! I follow the idea room blog!!! I love the Charcoal dot market tote!! perfect for my business!! Thanks for the introduction! I heart the CHARCOAL DOT TOTE BAG // DIAPER BAG! SEW Cute :) It would be perfect for all my little mans diapers and the millions of baby items you have to lug around with you :) Thanks for the great contest! I LOVE the Charcoal Dot market tote! Absolutly adorable! After reading your blog for over a year I just realized I wasn’t a follower! I am now. I would love the garden fresh tote bag. I’d love a tote – the charcoal dot is awesome. I follow your cute blog. I follow The Idea Room on Google Reader! I’ve wanted a Market Tote forever! So cute!!! I love both the lap top bag and camera strap! I <3 Gussy's shop! My fav item is her market tote~ I love those! I love the I love the charcoal dot tote bag. It’s super cute! Thanks for the chance! Love the cotton candy market tote and the vintage romance wristlet clutch. I’m an Idea Room follower. I love the camera strap covers, especially the B&W Houndstooth w/ pink ruffle! I follow The Idea Room w/google! I love the vacay tote/diaper bags…. I LOVE the mama products. Especially the diaper/wipe wristlests, what a great way to transer your most important items from diaper bag to purse in a sinch. Functional and hip! Anything with polka-dots and ruffles gets my 1st pick! Love all her stuff! Thanks for the chance! I shared on facebook! Thanks for teh chance! Now following on pinterest! Thanks for the giveaway! Follow the idea room via google! I love the market tote ! Love the diaper/wipe wristlets, especially the polka dots. 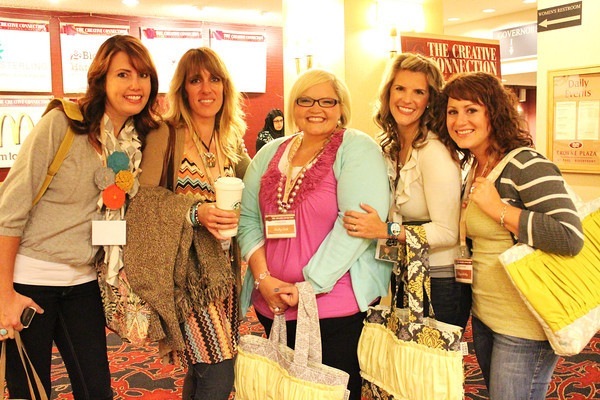 I would love the charcoal dot bag and the yellow ruffle…my fav! I love the Lola Vacay Tote & Pouch! Love the camera straps and diaper bags! LOVE the headbands, especially “itty bitty flowers”. Follow on Facebook and Pinterest. I love the polka dot grey and white tote the best,but all of her stuff is great!!!! I love the charcoal dot with a blue ruffle market tote and I am pretty sure I also have to have one of her camera straps!!! what a darling site! so glad to be turned on to it — thanks all around :) The items that ‘move’ me in particular are the ones for sweet mammas (as i will soon be one!!!) the tote in particular would come in very handy xox!